Here I am going to share 3 different projects using wonderful craft supplies and so gorgeous stamp sets from Tubby Craft. Tasneem this side with three beautiful cards inspired by the fall theme.. The fall colors are such a pretty palette with a mix of Vintage and Sunshine .. One of my most favorite color combos!! 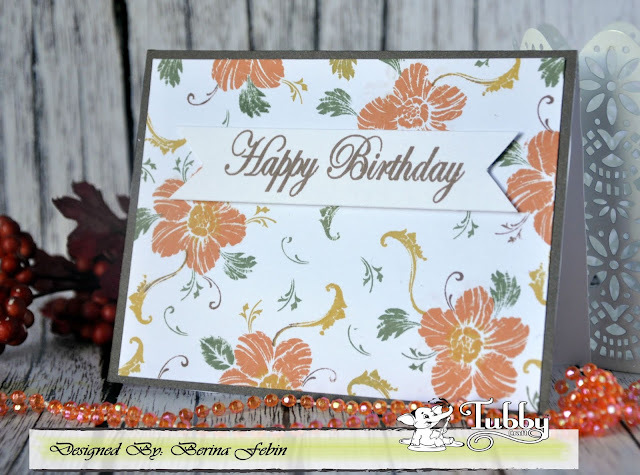 It's Piyu here and today I have 2 cards for you with fall color scheme. I made these cards using the September release stamps.